Sophie offers a discount of 25% on their first / introductory lesson! 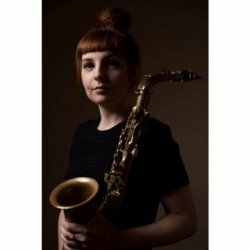 Professional saxophone player based in London, Sophie is currently studying for a masters in performance at The Guildhall School of Music and Drama. Sophie has performed at Venues across the UK including The Royal Albert Hall as part of the BBC Proms, Ronnie Scott's, Pizza Express Jazz Club. Sophie has taught privately and in London Schools with 9 years teaching experience. Sophie takes great pride in her students progress, she takes an individual approach to each student and tailors material she teachers to suit each individual. Sophie has 9 years experience teaching ABRSM exam syllabus and preparing students to take ABRSM exams, including ABRSM theory exams.